XM is one of the largest and most reliable Forex and other retail traded assets out there. The Forex broker has been around for a while now and so far have managed to create an enviable reputation for themselves. They have a wide variety of products that they offer to their users, some of the best trading platforms available to the retail markets, as well as some of the most interesting and beneficial bonuses that a broker can offer on the market today. The XM bonus is what we are going to be talking about today. But the number of bonuses is high and the variety is pretty impressive. Most users will be able to find a bonus that fits them and provides them with something that they can surely enjoy starting their work with. Of course, there are XM bonus conditions that you will have to make yourself acquainted with before you start getting fully invested in receiving the bonuses. Each kind of bonus has its own, relatively unique conditions that will affect how you work with the bonus. Although, despite this, all of the bonuses that XM offers are relatively easy to claim and to withdraw. All it takes is to get a little bit of trading done with the company, and you will most likely be able to make the withdrawal that you want. But let us get into more detail and do some quick XM bonus review by bonus so that you will have the information available to you before you start trading with them. In this quick XM no deposit bonus review, we are not going to get into too much detail about the bonus, but we are going to cover some general items, that might be interesting to users. The first thing we should be mentioning that not all countries have access to this opportunity. Although, despite residents of certain countries not having access to it, this is still one of the broker’s most popular products. Acquiring is rather simple – all you have to do it go to the XM promotions page and select the no deposit bonus before you register with the company. Once you do have the deposit on your account, you can start trading with the free money and get yourself either some ice experience with the market or even some income, without investing anything. There are, of course, the XM no deposit bonus terms and conditions that you need to consider. 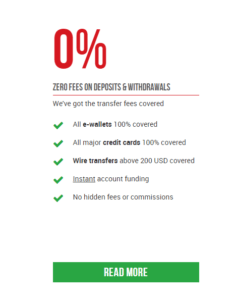 The most important one is the fact that you will not be able to conduct an XM no deposit withdrawal, unless you have traded with the no deposit money, or until you have deposited some additional money onto your account.T he reason for this is pretty simple: they don’t want you to end up just getting the free cash and running. They want you to use the cash to trade on the market, at least a little and end up creating more value with the cash they have given you. This way both sides win. This is standard practice with all no deposit bonuses among other FX brokers as well. There are other, general conditions that apply to this and other bonuses as well, but the specific one needed to be mentioned. The XM 50% deposit bonus is a nice bonus that you get a hold of once you enter the code for the promotion into the available box when depositing some additional funds onto your account. This deposit bonus is a very nice opportunity to multiply your available trading capital by a little bit. While the no deposit bonus is limited to only thirty dollars, a user will be able to get much more out of this bonus. Acquiring this deposit bonus is rather easy, you just have to consider what the limitations and conditions for the bonus are. The XM 50 bonus terms and conditions are not much different from those that you have to deal with in the no deposit situation. The only thing you need to consider to take full advantage of the bonus is the fact that there is a limit on the amount of money you will be able to receive as a result of the bones. The bonus goes up to as high as $500, which limits your deposit (to receive the full amount of the bonus) to only one thousand US dollars. Though this is not a small amount of money, and could actually produce some very impressive results in terms of trading if used right of course. Other, general bonus terms and conditions apply as well, of course. The 20% XM trading bonus is a deposit received by the trader, that they become eligible for only after using the 50% deposit bonus. While the 20% might seem to be a little less generous than the previous one, the truth is quite the opposite – a trader that deposits enough will be able to receive a lot more money. The maximum bonus amount for this type of bonus is four thousand five hundred US dollars, which is an insane amount of money to receive as a bonus, an amount that nobody would mind having as “free” money to trade with. The thing is, bonus conditions here are much more strict than in the other case. The reason for this is quite simple – this amount of free money need way more oversight and way more attention paid to it. This is why the traders will have to use the 50% deposit bonus before receiving access to this. Once they do have access, the users will have to consider whether they are ready to receive the bonus and spend the next few months trading with enough capital to fulfill the requirements to be able to claim the bonus for themselves. The withdrawal is not free, not until the users will have traded the entire amount of the bonus. While some traders might find this to be a bit of an issue, this kind of requirements is pretty standard, as brokers have to protect themselves from losing money simply by giving it away and letting traders withdraw it, without ever trading it. The users who are lucky enough to decide to start trading with XM will also get access to Virtual Private Servers. Not many people will understand all of the benefits of this XM registration bonus, though the benefits are very much important. Some of the biggest benefits a person will be able to receive are the elimination of server downtime, the ability to access their trades and their platforms from anywhere in the world, and the high speed of trade execution. These benefits may turn out to be what makes or breaks a person’s revenue for the day – a trade executed from far away in the world and immediately may save a lot of time and a lot of money in the long run. Of course, this bonus comes with certain terms as well. These terms are relatively easy to find and access, and they are not that hard to comply with. All you have to do is have deposited a certain amount of money with the broker, as well as taken advantage of some of their other bonuses. In the end, the work you put into complying with the requirements and receiving this bonus is way worth the benefits you will receive. Most Forex brokers will have a certain amount of fees on withdrawals, as a way of supporting all of the payment services that they offer. This is not the case with XM. This bonus is part of their offer to all of their loyal customers. They offer their users a chance to make withdrawals, no matter how large the sum of money, without ever having to pay any kind of fees. The XM bonus withdrawal option is something you won’t be able to see with a lot of other brokers, and it is something you should definitely take advantage of. This is the kind of thing that will make your operational costs go down, very quickly when you are trading with XM. Just like with everything else, there are certain XM bonus terms and conditions you have to satisfy, but they are not complicated and should not take you too long to get through. The loyalty program is not a direct XM bonus account offer, but it is something close. In reality, the Loyalty program is more of an access permit to all kinds of promotions and bonuses that the company offers on a regular basis to its clients. Seasonal promotions happen throughout the year, which means that staying with the platform will get you some offers that you did not know were available before. What is more, this bonus requires registration to be up for a long time but results in some exclusive offers being made to the users who stick with the platform. These exclusive platforms are not seasonal but tailored to the needs of individual, long term users and they can be an amazing boost to a user’s trading capabilities when they do come.